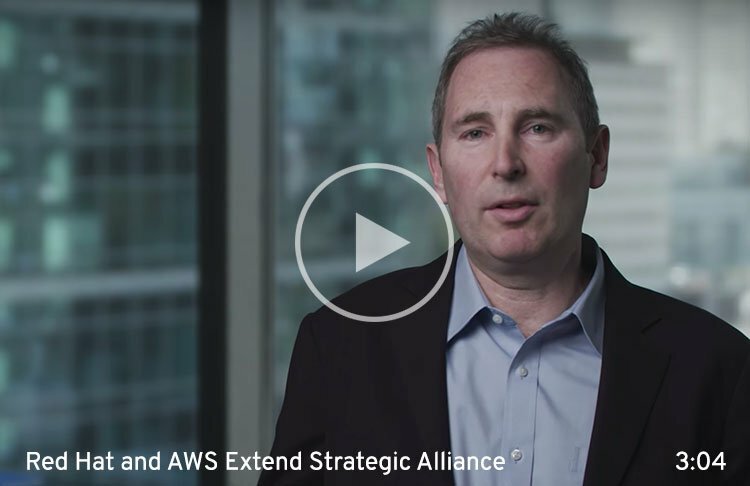 Red Hat OpenShift combined with Amazon Web Services helps teams accelerate development and delivery of Kubernetes applications across a unified, hybrid cloud environment. 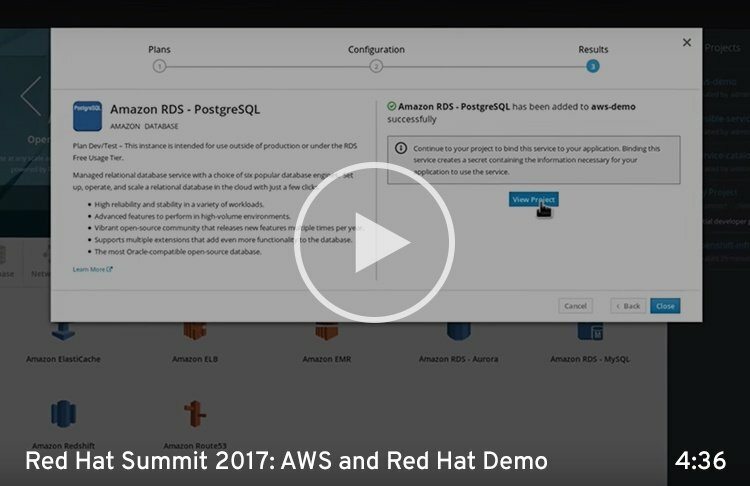 AWS services are exposed directly into Red Hat OpenShift, providing a seamless integration with applications running in the platform. Developers can launch and deploy AWS services from within OpenShift. Developers can work in their local environment, with the confidence that their application will deploy as tested in production, whether it's on-premise and in AWS. Red Hat OpenShift and AWS take care of undifferentiated heavy lifting. Teams can focus on building products, not on managing commodity application components. Red Hat is one of the inaugural launch partners for the AWS container competency program, which recognizes our product integrations with AWS services to improve our joint customers’ ability to run container workloads. Red Hat OpenShift Container Platform lets us move applications seamlessly and easily across multiple providers with no downtime. We can also use public cloud to scale up or down as demand requires.